I love mixing high-end pieces with steals! 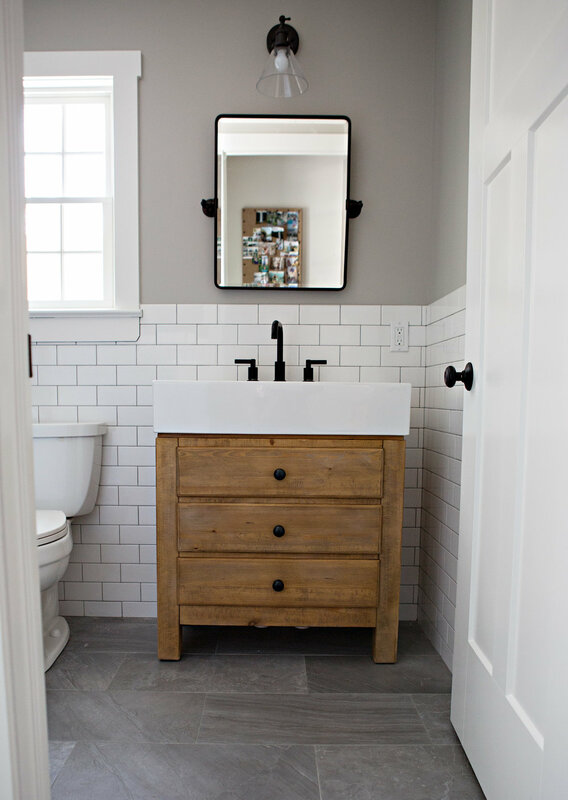 For this guest bath, the Pottery Barn vanity was a bit of a splurge but after months of searching for a less expensive option, I couldn't find anything that I loved as much as this. 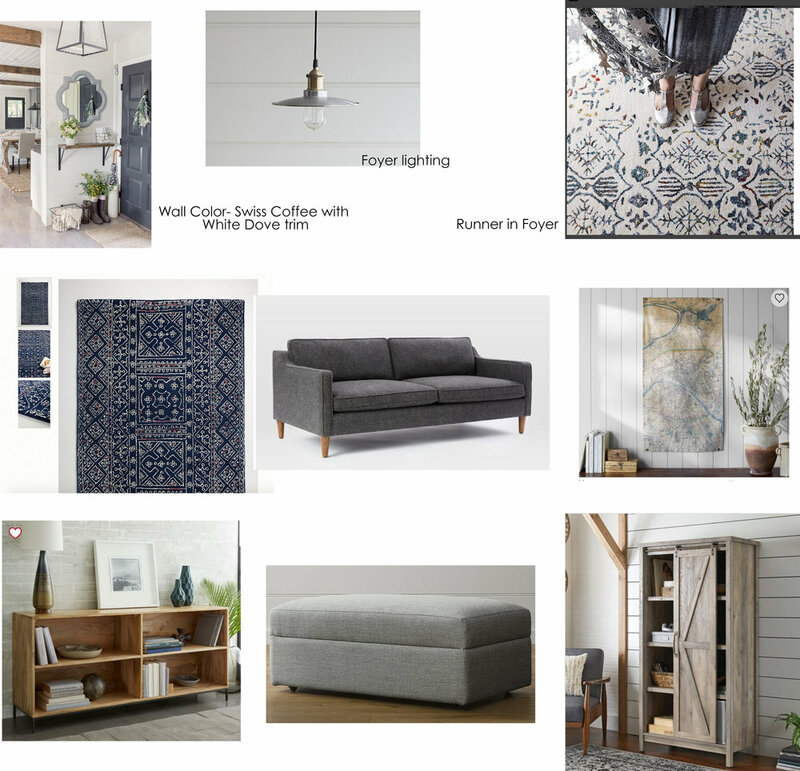 So I decided to go for it and I used my Pottery Barn rewards credit card. The following month I received a gift certificate with my statement as a result of the vanity purchase and that gift certificate paid for the mirror- SCORE!! I knew that I wanted a black matte faucet but didn't want to spend a fortune on one for this guest bath so I actually found this one on Amazon which had lots of great reviews and was a fraction of the price of the Pottery Barn faucet. And finally, the light ficture. I knew I wanted something with a glass dome and I had narrowed it down to a few choices from Rejuvenation and Pottery Barn. But in the end I found exactly what I was looking for on Amazon!! And it was under $50. WOO HOO!! I think that now when you come into the bathroom you have no idea which items were high-end and which were budget finds. And for a bathroom if you are going to splurge on only one item I do think the vanity should be that item. You don't want to have a vanity made of poor construction as that will be very noticeable. Everyone knows that I am obsessed with my Currey light fixtures in my kitchen. Those were a big splurge for me but they are show stoppers and works of art. No regrets here :) And PS: all of the hardware for my kitchen cabinets are from Amazon! But when it came time to shop for light fixtures for my mudroom, I knew this wasn't the place where I needed to go all out. I found these gems on Amazon and they did not disappoint! They were under $60! As an interior designer, I love mixing high end with budget items in a way that everything flows together seamlessly. If you are in the Bergen County area such as Wyckoff, Ridgewood or Glen Rock, I would love to help create your dream home. Or if you are outside of Bergen County NJ, I offer e-design services and can help you remotely. 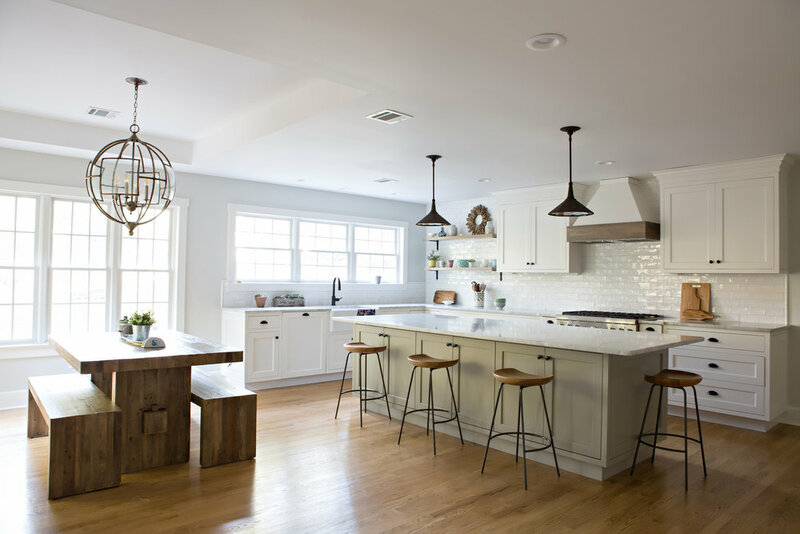 I'm also available to work with builders and developers in the Ridgewood and Wyckoff area to help maximize your profit with my design services.